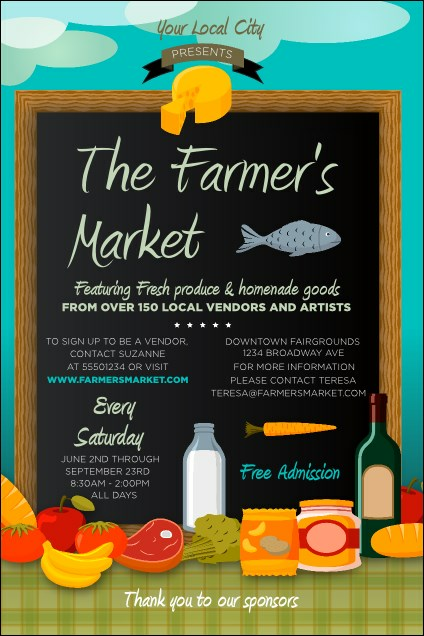 Set the table for a big turnout when you advertise with the Farmer's Market Poster. This design features a gingham table cloth with fresh foods and drink laid out, with event details written on a chalkboard above. This template works for markets, picnics, and healthy community gatherings. Order tickets, flyers, and invitations in a Matching Event Kit from TicketPrinting.com.